KOBOLD KAL Thermal Flow Switch for simultaneous monitoring of temperature and flow. 304 Stainless steel probe sensor and polycarbonate NEMA1 controller housing. 24 VDC or 24/110/230 VAC. Equipped with flow rate sensitive and isolated SPDT relay. Optional trend indicator to monitor flow and temperature switch to monitor temperature. The KAL electronic flow switch continu- ously monitors the flow of liquid media. It can be used wherever flows must be monitored with a minimal loss of pres- sure. The KAL�s one-piece, stainless steel sensor has no moving parts making the KAL very reliable. High strength is another advantage inherent in this design allowing use at high pressures, and virtually eliminating any chance of mechanical damage. The KAL design is based on the time- proven calorimetric principle. The sensor is internally heated to a few degrees above the temperature of the medium. Flow of the medium causes removal of heat from the sensor, resulting in a cooling effect. The degree of cooling is a measure of the flow velocity. 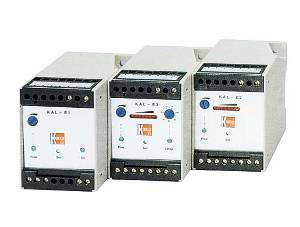 The KAL electronic modules allow the user to interface with the sensor to provide access to flow or temperature control in his process. 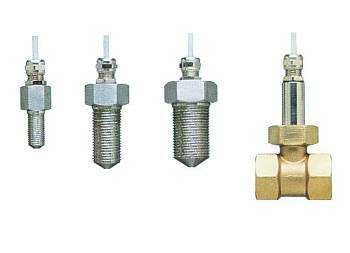 The system can act as either a flow switch only, or a combined flow and temperature switch. Switching is achieved by means of internal SPDT relays. The microprocessor based design of the KAL distinguishes it from the competition. Full temperature compensation of the switch point is readily obtained through a simple, one-time, calibration procedure. This assures elimination of set-point drift caused by temperature variations in the process liquid. The KOBOLD KAL flow switch uses a microprocessor to compensate for temperature changes through use of an internal look-up table. 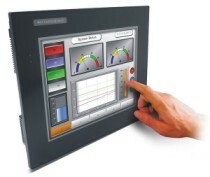 End-users can easily adapt the equipment to the requirements of their unique installations. Compared to conventional calorimetric flow switches, the technically advanced design of the KAL provides a switch point which changes negligibly with temperature. Three units are available. Each is com- patible with the full series of sensors. Electronic circuitry is located in a standard DIN housing (NEMA 1) for quick installation on terminal rails. 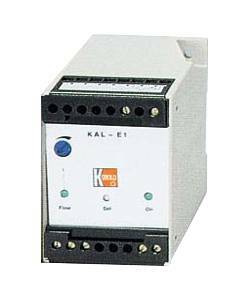 The KAL-E100 is equipped with a flow rate sensitive, isolated SPDT relay. The relay status is indicated by means of a green LED. Same as the KAL-E100, but with a trend indicator for flow rate and switch point. Same as KAL-E200 but with a temperature switch. In addition to monitoring the flow, this model can be used to monitor the temperature. The specified alarm temperature can be from 0�176 �F. SPDT relays are activated if the flow drops below the specified flow velocity, or if the temperature drops below the specified temperature. All of the sensor models can be used with any of the three controllers. Relay: Fail-safe SPDT 3 A @ 250 VAC max.